Multiple media outlets are reporting that centerfielder Mike Trout is finalizing a new 12-year extension with the Los Angeles Angels that will be worth more than $430 million. ESPN, USA Today, and others have cited sources familiar with the deal in their reporting. If the extension goes through as planned, it will become the largest contract in professional sports history. 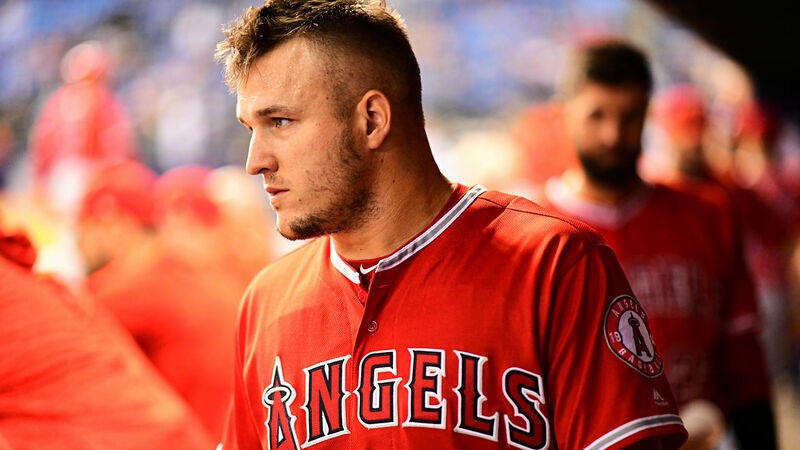 The move will allow the Angels to avoid bidding against what would likely have been numerous other franchises who would be interested Trout when he became a free agent after the 2020 season. Already, Bryce Harper had made headlines by trying to recruit Trout to the Philadelphia Phillies. At $430 million, Trout’s new agreement will outpace both the $330, 13-year deal signed by Harper earlier this month, as well as the 11-fight, $365 million streaming deal signed by Canelo Alvarez last year. The extension works out to an average of $35.83 million per season, more than the $34.4 million that Zack Greinke receives per year from the Arizona Diamondbacks. Even with the astronomical numbers involved in the new contract, few would accuse Trout of being overpaid. The 27-year-old is a seven-time All-Star and has already won two MVP awards. In each of the last seven seasons, he has finished in the top four in MVP voting in the American League. Trout is coming off of a 2018 season in which he hit .312 with 39 home runs while leading the league with a 1.088 OPS. In just eight years of play, he is already among the Angels’ franchise leaders in virtually every offensive category. According to USA Today, sources say that the deal is expected to be finalized in the next few days. The extension adds 10 more years to the two years remaining on Trout’s contract, meaning he will be signed with the Angels through his age 39 season in 2030. Talk of the contract resulted in some strong reactions on social media from other pro athletes, with JJ Watt wondering if he could get the same deal from the Houston Texans. If there’s one downside to the deal for Trout, it may be that the Angels haven’t been particularly successful as a team in his time there. Over his first eight seasons, Los Angeles has only made the playoffs once, losing in the ALDS to the Kansas City Royals in a three-game sweep. Last year, the Angels finished with an 80-82 record, 23 games back of the Houston Astros in the AL West and 17 games out of a Wild Card spot. Oddsmakers aren’t bullish on the Angels to turn things around in 2019, either. According to William Hill, Los Angeles is a 40/1 pick to win the World Series this year, and a 13/2 choice to win the AL West.